The dizzy heights the euro is scaling right now are scary. 1.7 cents against the dollar in a single day - Tuesday, when the currency was already trading close to its lifetime peak, is extreme to say the least. 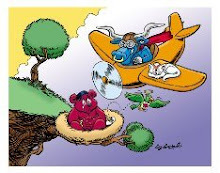 Markets are trading on the assumption the Fed is going to cut rates by its December meeting, regardless of what else happens, and they may indeed be right. The minutes of the October meeting, released Tuesday, pointed to it being a ‘close call’ on whether rates to cut or not at that time. Most Fed members that have spoken in the past week attempted to play down expectations for a further cut in December, but with economic data weakening further and Wall Street in sharp decline, the Fed may be pressurised into giving markets what they want. The Fed’s task would be made easier were other Central Banks to shift their policy positions before the Fed is forced to act again, otherwise the dollar is going take it on the chin again, oil prices will continue to hover around $100 a barrel and imported inflation into the US will grow. So far the ECB has shown little in the way of sympathy for the Fed or the dollar, with ECB members preoccupied with inflation talk in the euro area and are standing over their hawkish views. The euro is going to hit 1.50, possibly this week and it is difficult to see its ascent being halted in the current climate, unless there is a major shift in policy by the ECB, or intervention of some kind. It is highly significant that the euro is appreciating against the dollar at a time when global risk aversion levels are at a peak and while large funds are being transferred from equities into US bonds. Outside of the US it is clear that the euro, even at its current inflated price, is seen as a safer haven than the dollar. With US markets closed tomorrow and only operating at low capacity Friday, the dollar could come under further sustained attack, unless there is a major sell-off of the euro this evening or tomorrow morning. I expect to see the market try to reach 1.50 this week, whether it is warranted or not and even though it would translate into an ultra-extreme gain for a single week. Nobody seems prepared to stop it. Volatility levels are such and fear is so strong that further sharp moves are more probable than possible this week. It is difficult for traders to justify buying the euro at current prices, certainly not on a positional basis, because there is the danger of a sharp downturn at any time. I would be inclined to wait and see if the euro can take the pair higher (to 1.50) before entering the market at all and then sell down for a correction. Strategy: Stay out until successful or failed attempt to take out 1.50 and then sell down for a correction). The Bank of England voted by a majority of 7-2 to maintain interest rates at 5.75% in November. The split decision increases expectations for a near-term rate cut from the bank’s Monetary Policy Committee and it could come as soon as December, particularly if the current credit stresses in financial markets persists. Cable had risen to a high of 2.0682 overnight, but fell to a low of 2.052 soon after the Bank of England’s minutes were released Wednesday. Negative sentiment against the dollar continues to protect sterling although the UK currency did fall to a new 4.5 year low against the euro, which is now trading just above 0.72 pence. Sterling did retreat sharply against the yen as the carry trade unwind continued, but the pound has risen significantly against all the commodity currencies today. With rate expectations now working against sterling, the currency remains vulnerable to a sharp sell-off, but it may take a broader US dollar recovery to trigger any major decline in cable, while EUR/GBP is overbought. Sterling will strengthen against the yen and the Swiss franc and weaken against the Aussie and New Zealand dollars if stock markets recover. It is dangerous to buy the pound right now and any further cable moves towards 2.07 offers a sell opportunity. Strategy: Sell cable on prices close to 2.07, with target of 2.0550. The yen hit a 2.5 year high against the US dollar Wednesday and has traded strongly for all of the European and US trading sessions – the USD/JPY pair hit a new low of 1.0825 this morning. If risk aversion persists to the end of the week, the yen could push the dollar back towards the May 2005 low at 106.47, with the aid of further carry trade unwinding. US markets are closed Thursday and if global stock markets stabilise, the yen will be forced to retreat back above Y110 against the dollar. Japan’s October’s trade balance was in line with expectations, 66% up on the same month one year ago, but market direction for the yen is currently dictated by risk aversion and fear, not data. The yen gained 1% against the euro today and at Y161.16 this remains the pair that offers the best yen value under current market conditions, but only to sell it at prices above Y163. If stock markets stabilise late Wednesday and into Thursday, the yen will be sold off, as elements of the carry trades return and the yen should be avoided, other than to sell it. September’s retails sales numbers surprised to the downside, falling by 0.2% from August. Retail Sales for the quarter (Qtr 3) declined for the first time since 2003 and this coupled with Tuesday’s soft inflation numbers open the door for a possible bank of Canada rate cut as soon as December. The shine continues to come off the loonie and on Wednesday the US dollar hit a 7 week high against the Canadian currency, reaching 0.9923. The trend has definitely turned and USD/CAD should now be bought on dips and we may reach parity this week. If the pair returns to parity while risk tolerance levels remain low, then the US dollar could move significantly through the other side. The Canadian dollar is oversold against the euro, but there is little value in trying to buy the loonie right now, given the shift in the currency’s outlook. Strategy: Buy USD/CAD on dips below 0.98 with a price target of 0.9850. Also, place advance orders to buy USD/CAD at 1.0000 and hold on positional basis. You have some great information, tips and advice for Forex traders. Good job on a very resourceful Forex blog! If you want, take a look at our Forex signals service and tell us what you think. We are predicting the times the market will change direction on a daily basis will incredible accuracy. We are looking for feedback from professional Forex traders and offer a free trial. It is dangerous to buy the pound right now and any further cable moves towards 2.07 offers a sell opportunity. Strategy: Sell cable on prices close to 2.07, with target of 2.0550. Thank you. I will take a look at your site and get back to you. PS: Thanks, Ann. Have I missed something?